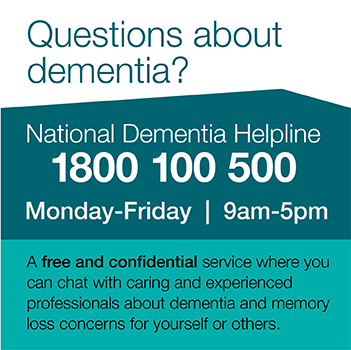 A series of help sheets about various dementia topics have been developed to inform Aboriginal and Torres Strait Islander people about dementia. See a list of useful website resources here. A suite of themed resources called "Looking out for Dementia" has been developed to inform Indigenous people living in remote communities of Northern Territory about dementia. Indigenous dementia resources project - "Looking out for Dementia"
Watch the story below, “Love in the Time of Dementia” that was made in collaboration between italklibrary and Carpentaria Disability Services. This story seeks to inform Indigenous communities about caring for family members who have dementia. This is a community resource filmed in Coffs Harbour aimed at raising awareness of dementia. The DVD includes three short scenarios outlining risk reduction and what to do if people are worried about their own or someone else’s memory. Special target groups are younger people and the local Aboriginal community. This short DVD was filmed by Steve MacDonald of Life and Times and people from the Gumbaynggirr community volunteered their time to act in the film. The film goes for about 5 minutes and is recorded in an interview format with family members talking about dementia and what can be done to help. A resource for carers of people living with dementia in the Aboriginal Community. The short film features Birpai Elder Uncle Bill O'Brien discussing his experience of caring for his mother, who had dementia. The resource will be freely available to help carers of people with dementia. Importantly, it emphasises the help that is available and that people are not alone on this journey. Watch The Fading Moon on YouTube. Please be aware - this resource may contain images or names of people who have since passed away. This leaflet has been developed for Aboriginal people who provide care for an older person or someone with a serious illness or disability. It provides information on how to feel good and keep well while providing ongoing care for a family member or friend. 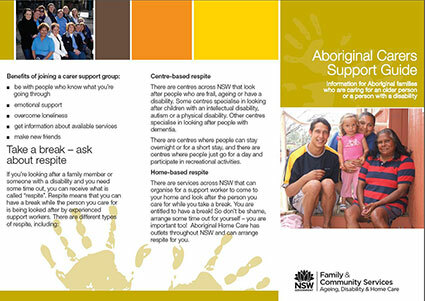 The leaflet also includes a list of organisations that provide information and support services for Aboriginal carers. A two day National Indigenous Dementia Workshop was held in November 2006 with over thirty participants to discuss whether the issue of dementia is a sufficient priority for Aboriginal and Torres Strait Islander people to take action and to determine what that action might be. Research in the Kimberley region suggests that the prevalence rates of dementia among remote and rural Indigenous people could be 4-5 times higher than those in the Australian community generally. Research is needed in respect of those Indigenous people living in urban areas. Authors: Alt. Beatty Consulting for Community Care (Northern Beaches) Inc on behalf of NSW Department of Ageing, Disability and Home Care. Abstract: This report presents findings of consultations with Aboriginal and Torres Strait Islander People and People from Culturally and Linguistically Diverse Backgrounds in the Metro North Region of Sydney. The consultations were held to assess the cultural appropriateness and relevance of recommendations of the report, Appropriate HACC Service Models for People with Younger Onset Dementia & People with Dementia and Behaviours of Concern. 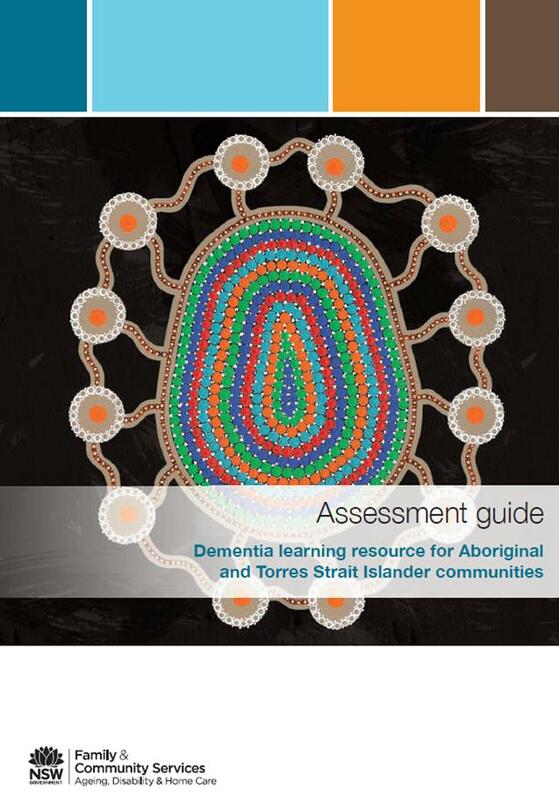 Dementia Learning Resource for Aboriginal and Torres Strait Islander Communities 2nd Edition. The Dementia Learning Resource for Aboriginal and Torres Strait Islander communities is a culturally specific training resource for Aboriginal and Torres Strait Islander communities which aims to equip Aboriginal and Torres Strait Islander health and community workers with the appropriate skills and information to support Aboriginal and Torres Strait Islander people with dementia and their carers. The Kimberley Indigenous Cognitive Assessment (KICA) was developed in response to the need for a validated cognitive screening tool for older Indigenous Australians living in rural and remote areas. Validation of the Kimberley Indigenous Cognitive Assessment Tool (KICA) in Rural and Remote Indigenous Communities of the Northern Territory. Modification and Validation of the KICA in Victoria. A study undertaken in Victoria to validate a modified version of the KICA in Indigenous people aged 50 years and over residing in a regional (Mildura) and suburban (Brunswick) area. Conducted by Dr Dina LoGiudice, Professor Stephen Gibson, and John Price from Dementia Australia.